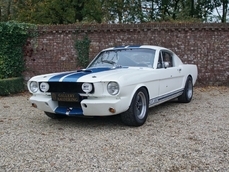 General description : CORRECT COLORS, WIMBLEDON WHITE, NICE RUNNING 289, AUTO, CLEAN PONY! We know exactly why you're looking at this coupe. 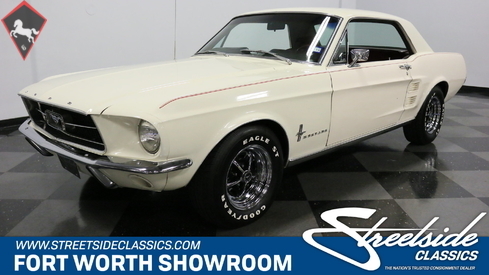 With its cool original color combo, correct V8 power, and great original features, this classic is about getting all you want without sacrificing comfort or conformity. It all starts with the Wimbledon White paint. It's a distinctive color is what we always love to see on Mustangs, and it's the perfect starting point for a very nicely coordinated package. This classic has all of its trim complete from the form-hugging bumpers, to the correct badging on the fender. The overall impression is very factory-correct with plenty of crisp, sporty style. That's why the upgrade to Mag wheels with pony center caps looks so good on this one. And we know you've noticed the red pinstriping. It not only highlights the great curves of this well-maintained sheetmetal, but also it's a cool preview of the interior. Red is an awesome color to have dominating the interior. This factory-correct hue will have plenty of people sticking their heads through the hardtop to get a better look at the bold color radiating from within this coupe. In fact, this one was built to cruise with all the windows down, it keeps you cool while looking cool. You'll slip behind the factory three-spoke steering wheel, and beyond that is the larger gauge package that debuted for '67. This coupe is complete and authentic right down to the correct trunk mat and original AM radio! But we also know you spotted one nice upgrade. The cup holder center console is great for added long haul comfort, but purists can remove it easily if you so desire. 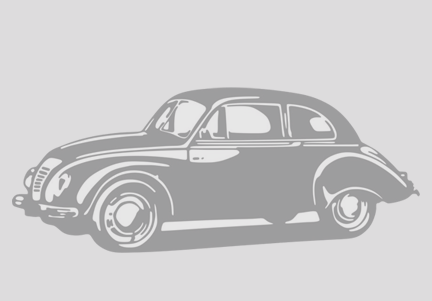 There's even more great original-style features under the hood. We all love Ford's 289 V8 for the reliable power it delivers, and this one is also worthy of showing off. That's because it not only gets the main items right like the big blue air topper and block, but also the details are still present, too. You see it in everything from the tag on the A/C compressor (needs servicing) to the Autolite carb on this C-code Mustang. 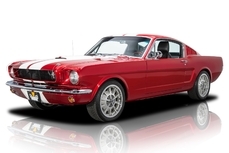 And a Mustang like this is more than just about being admired... it's meant to be driven. That why the V8 fires up nicely with a powerful bite from the newer dual exhaust. Plus, the power steering, three-speed automatic transmission, and the grip of Goodyear Eagle tires are great anytime driving features. 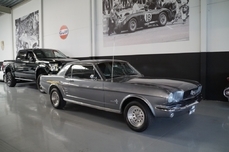 Complete with owner's manual, this is a distinct pony car with all the right factory features. Don't miss out on a special coupe like this, call today! 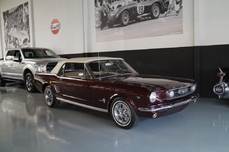 1967 Ford Mustang 289 V8 is listed for sale on ClassicDigest in Dallas / Fort Worth, Texas by Streetside Classics - Dallas/Fort Worth for $29995.